When your husband is a billionaire and lives on the public eye, you will probably get used to the spotlight and lavish lifestyle. That is the life of Tiffany Stewart, popularly called Shark Wife or Shark Tank Spouse thanks to her marriage to one of the “shark” investors on the ABC reality television series, ‘Shark Tank, Mark Cuban. Her husband is also a well-known film producer and the owner of the Dallas Mavericks. The media and technology investor also owns profitable Landmark Cinemas and chairs HDTV cable network AXS TV. For those who don’t know the duo too well, Cuban and Tiffany have been married for over 15 years. They met in a seemingly unexciting spot but didn’t let that define their love. And while Tiffany is not the one with all the fame, she prefers to stay low key. Below are more interesting facts you must know about the adorable couple. Mark Cuban was born on July 31, 1958, while Stewart was born on Jan 1, 1970, meaning she is 12 years younger than her husband. Something that would have been an uncomfortable or daring age gap for most people seems to be Stewart’s motivation. For the couple, age is just a number. Tiffany Stewart grew up in a middle-class home in the United States along with her sister. She had a humble upbringing which could be the reason for her quietness and a little bit of shyness. However, she didn’t have a flourishing relationship with her sister who she always fought with. As a result, her mom had to devise a way of soothing their nerves whenever they began fighting. The technique saw them running around the house three times, this always leave them coming back happy and laughing. The stunner has adopted this technique herself in her home. Tiffany Stewart, unlike her husband, is not the one with the spotlight but there has always been that nudge in her to work hard and make a modest living for herself. This motivated her to start a successful career in the advertising industry where she worked as a saleswoman for Honda. Even after marrying her billionaire husband, she continued this job and even became an advertising executive. Love exists sometimes in unpleasant places and other times in glamorous places. But most of the time, love lives in the rough spots. This is the case of Tiffany Stewart and Cuban who met for the first time at the gym in Dallas, Texas. Through the sweats, the two worked things out between them, starting their relationship in 1997. By 2002, they both decided to walk down the aisle. It is safe to say that Tiffany loves the beach a whole lot. She has proved this fact by having her wedding on a beach in Barbados even though it was a small ceremony that hosted only 20 of their closest friends and family. With all the money and fame she and her husband had, people would have thought that they will go over the roof to have a celebrity-style wedding, but they kept things ordinary yet stylish. She continues to lead a simple life and instead of focusing on a posh lifestyle she channels her attention on philanthropism. She donates through Hoopes n’ Hopes organization to Parkland Hospital. She is also one of the mouthpieces of Mavs Foundation and is charged with determining those eligible to receive grants every year. Tiffany has three children Alexis, Alyssa, and Jake. She and her husband are raising them up in the best ways they can. They have a nanny that helps out around the house and are not the type of parents that give them everything they want or ask even though they can afford to do so. It Took Her Time To Get Used To The Billionaire Lifestyle. Tiffany does not come from a poor family but she is not from a very rich one either. 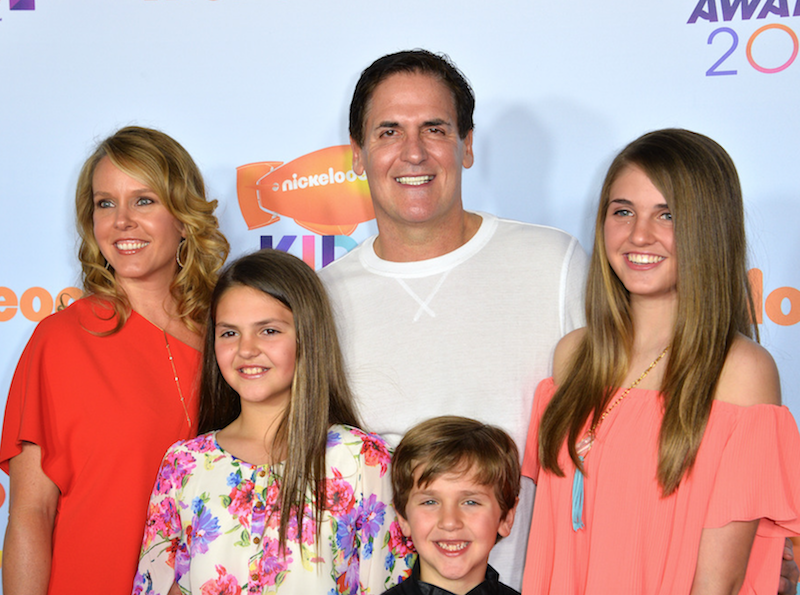 So when she started going out with Mark Cuban, the lavish lifestyle seemed odd to her. She revealed in an interview that Cuban’s mansion in Texas seemed out of touch with reality the first time she saw it, adding that she wouldn’t have afforded it. She still lives an ordinary life and uses a Honda to go to her sales job at the ad agency. Also, she doesn’t feel all excited about coming back to the mansion. Cuban has a mansion in Dallas where Tiffany, her husband, and three children find shelter. However, Tiffany is still getting used to living in such a large house. According to Cuban, the children made the mansion more habitable. Prior to their arrival, there were areas of the house he hardly explored, but since their presence, he has been able to get a better experience around the house. Before Tiffany’s marriage, her net worth may be running in hundreds or thousands, but since her marriage to billionaire Mark Cuban, her income including that of her husband has grown to about $3 billion. In all her simplicity, Tiffany is elegant, stunning and stylish. She is 5 feet 8 inches tall with a beautiful slender build. Her hair is full blonde and her eyes are light brown.